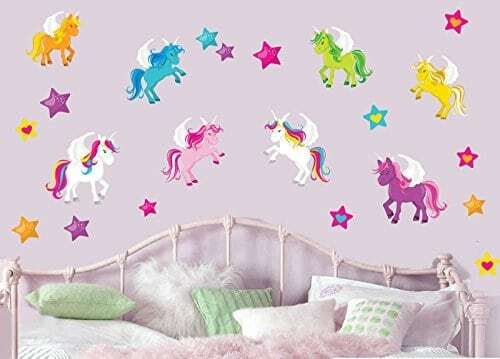 Some Super Unicorn Wall Stickers! Unicorns must be one of the most magical imaginary creatures and certainly a hugely popular choice too. One reason for this is because they’re so aesthetically pleasing. They’re beautiful and so therefore, they make a awesome decorations too. 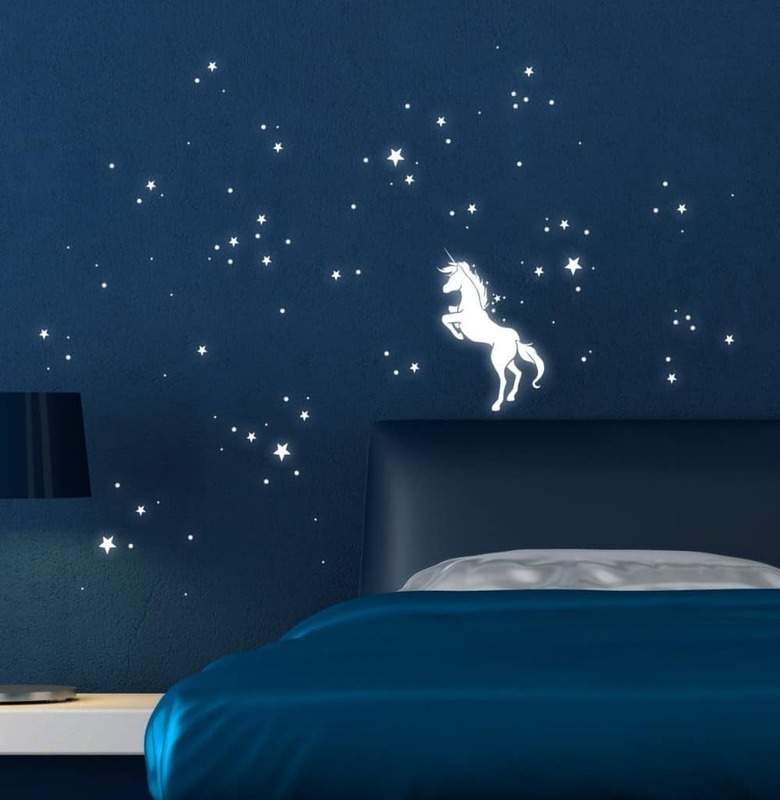 If you’re thinking of creating a unicorn themed bedroom, there are also some gorgeous Unicorn toy animal plaques I wrote about in this post that would really add an additional wow factor, especially in conjunction with Unicorn wall stickers. 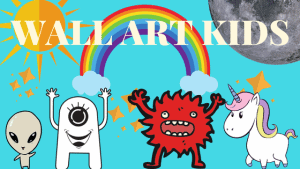 Also, make sure you don’t miss this post, if you’d like to create a Unicorn themed bedroom. Check a selection of great wall stickers available to buy here…. This colourful unicorn set includes four unicorns, two rainbows and three clouds in a pack. The bright cheerful colours would make a lovely edition to a nursery or playroom. three different sizes of packs available, in small, medium and large. 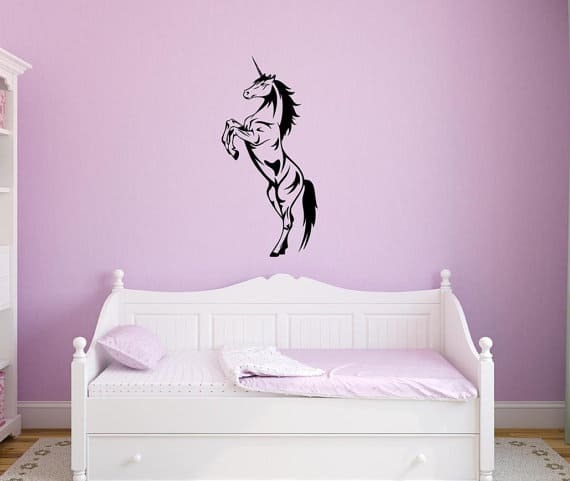 A simple but tasteful unicorn wall sticker, would be ideal as a subtle addition to a unicorn themed room, without being overwhelming. 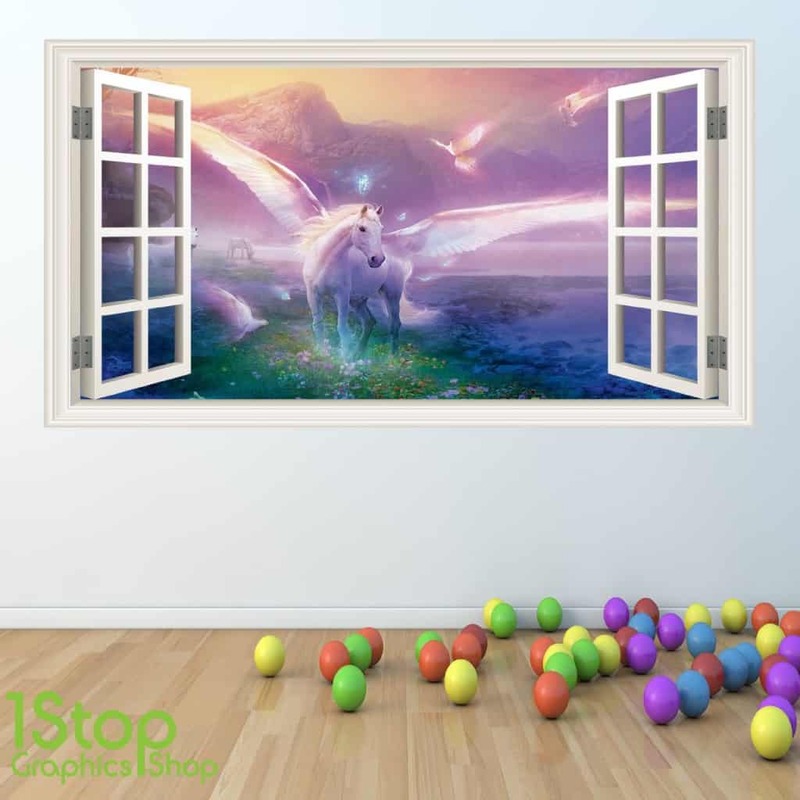 A beautiful Unicorn Wall Sticker, with the popular “open-window” effect. Three sizes available in small, medium and large. Large being 70 x 125cm. 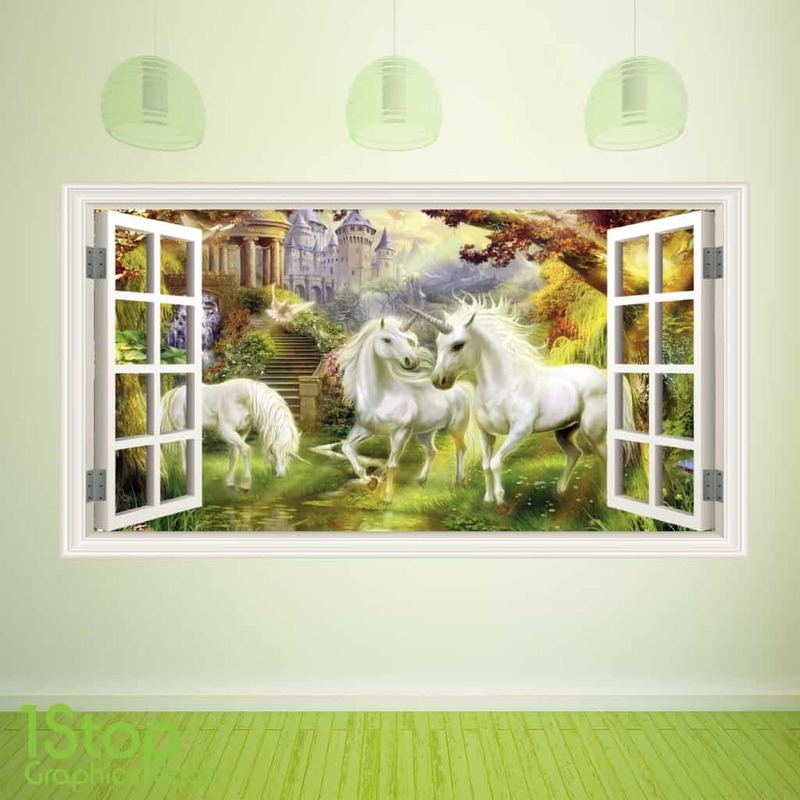 Another open-window design, with several unicorns in an attractive fairy tale setting. 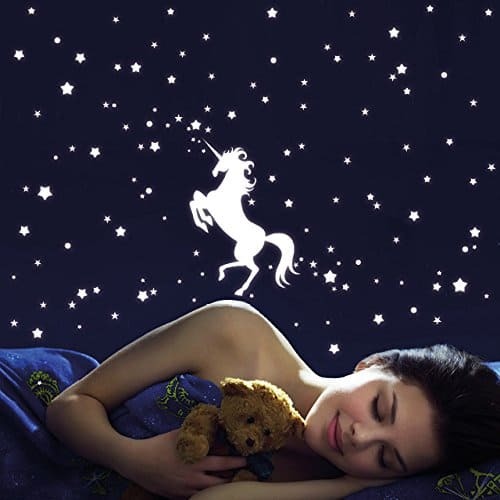 Magical luminous unicorn and stars wall stickers that glow and create an enchanting atmosphere. Another set of glowing wall stickers here, to light up your child’s room with a magical glow! 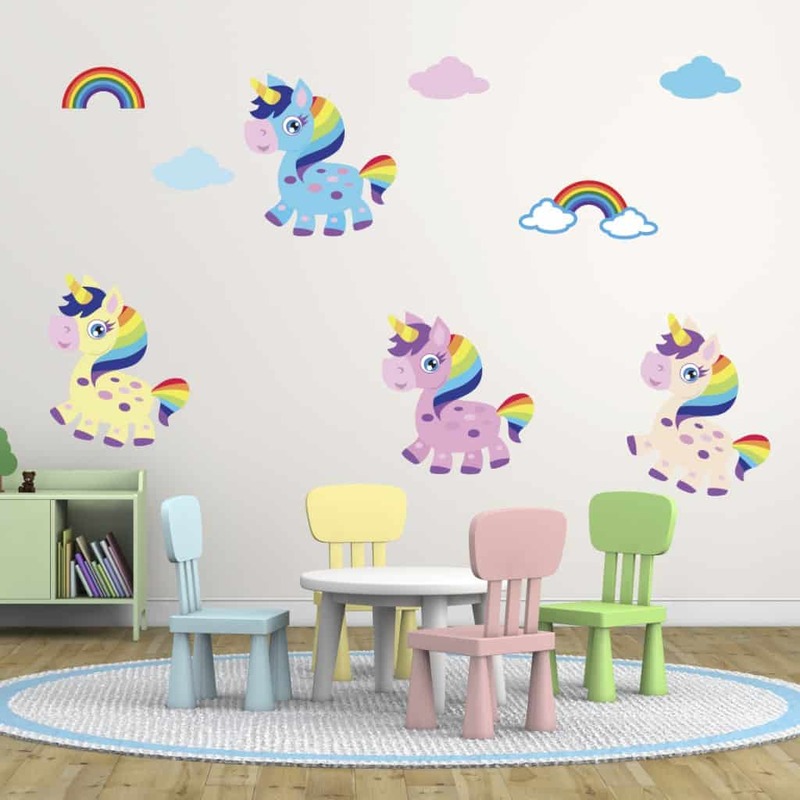 A colourful, easy to apply and great value set of Unicorn wall stickers. 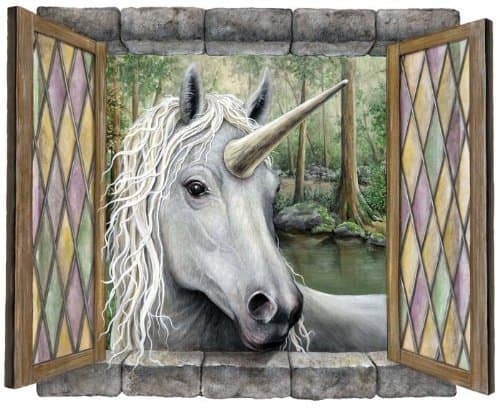 A beautifully realistic Unicorn Wall Sticker, with open-window effect. 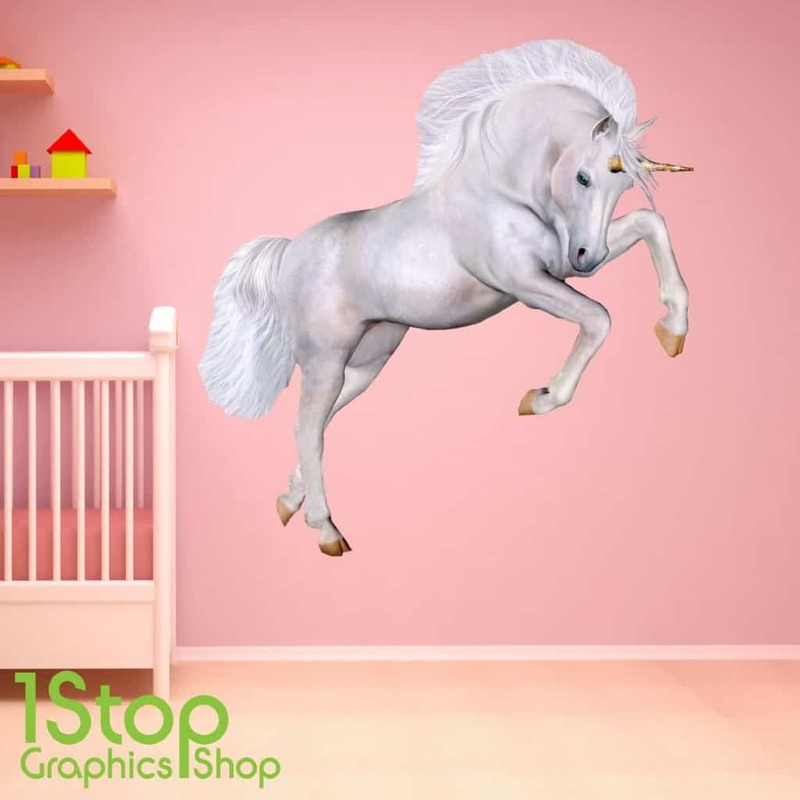 Beautiful large Unicorn wall sticker, with a realistic design. 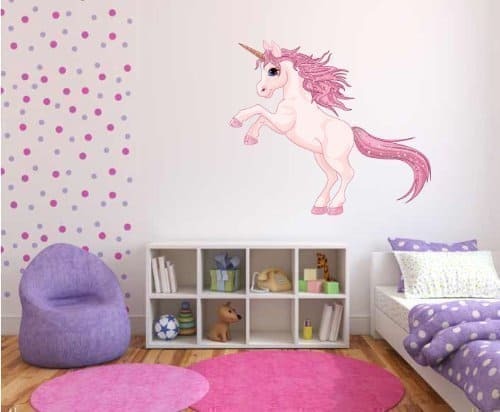 A lovely colourful Unicorn Wall Sticker with some sparkle!